Lisa Leake is a wife, mother, foodie, blogger and author of the #1 New York Times Best-Seller, 100 Days of Real Food. 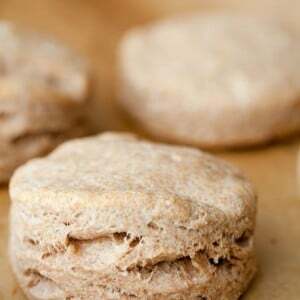 She began chronicling her family’s journey on 100DaysofRealFood.com when in 2010 they decided to start seeking out the real food in our processed food world. What started as a simple pledge has turned into a valuable and practical resource that’s now read by millions around the globe. Lisa has appeared on Dr. Oz, Good Morning America, CNN, and The Doctors TV Show. Follow Lisa on Facebook, Twitter, and Pinterest. 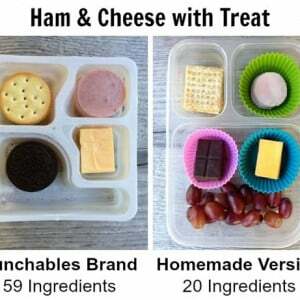 Now, I don’t think one Lunchable is going to put anyone’s health over the edge, but please tell me we can all agree this is not what we should be feeding our children on a weekly basis. So let me leave you with some similar, much better alternatives that you can make at home! 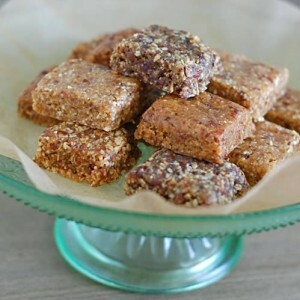 To add to Andrew’s long list of amazing resources that he’s pulled together for this year’s October Unprocessed I’d like to share my homemade “Larabar” recipes with you. Good luck with your transition to real food!